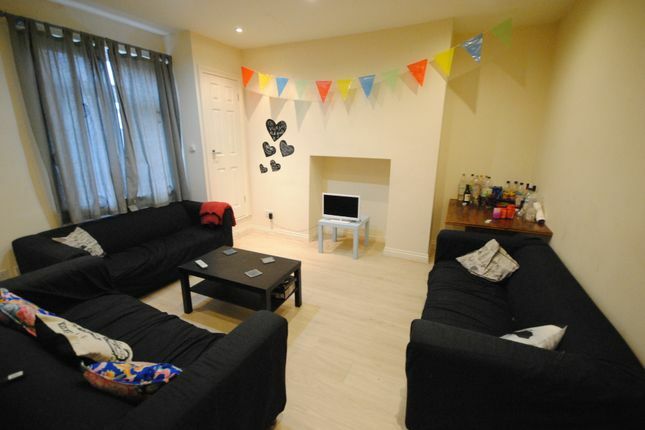 A recently refurbished house in an excellent location between Headingley and Hyde Park. There are 1 good sized bedrooms and 6 bathrooms. There is a large living room. There is a huge contemporary dining kitchen. The house is decorated and furnished to an excellent standard throughout. A fantastic house in an excellent location, in easy reach of the Universities! Property descriptions and related information displayed on this page, with the exclusion of Running Costs data, are marketing materials provided by Oasis Properties, and do not constitute property particulars. Please contact Oasis Properties for full details and further information. The Running Costs data displayed on this page are provided by PrimeLocation to give an indication of potential running costs based on various data sources. PrimeLocation does not warrant or accept any responsibility for the accuracy or completeness of the property descriptions, related information or Running Costs data provided here.